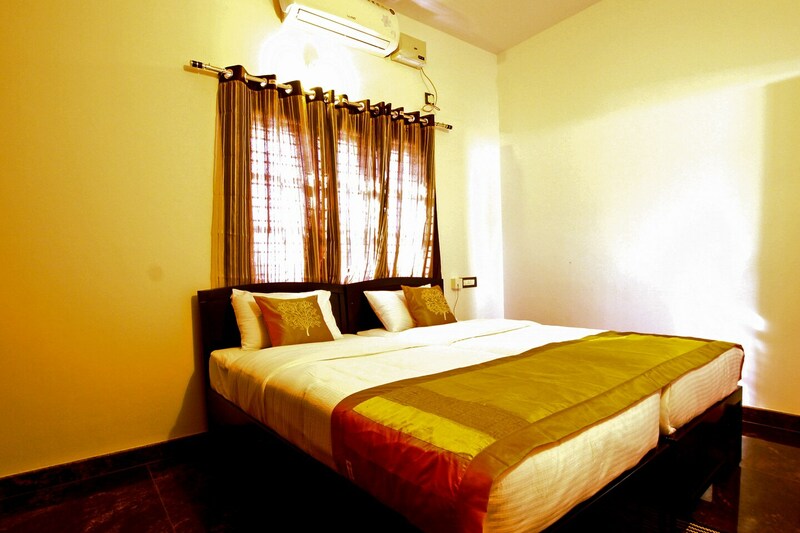 Global Homes provides its guests with spacious and comfortable rooms, filled with essential amenities. The rooms are well-lit and the sunlight flowing from the large windows makes the room brighter. It has modest decor along with furniture which includes a wooden side table and a wardrobe. The washrooms have a geyser and are well-maintained. The in-house restaurant is an added advantage for the guests. The spacious dining area and seating area feel impressive. Guests who wish to connect with friends and family or catch up with work can make use of free wifi access at the hotel. Other facilities offered by the hotel are parking space, power backup and CCTV cameras.